The newly imposed tariffs can have a negative impact on the growing solar industry, but solar design services have a role to play here. The new tariffs on Solar Sector have already started impacting the entire industry. As per Reuters, more than $2.5 billion worth of investments are already canceled or froze. This is leading to massive job loss in the industry. Though tariffs are directed at boosting the domestic manufacturing industry in the US, but that may take some time to show results. Installers who heavily rely on imported panels are going to the most affected. The higher cost of domestically produced solar panels or paying the newly imposed 30% tariff on imported panels won’t be easy. Passing the rising cost to end consumer is also not the solution. That may jeopardize the complete ecosystem on which solar industry witnessed an exponential rise in the past decade. Installers need to find a solution through which they can cut down on costs. The most ideal approach in this situation will be to find other components of total cost, where money can be saved. One of the components in this situation will be finding an outsourced solar design services partner. Design services in big volume can help the installers to reduce their costs. This benefit can be directly passed to the end consumer. A known name in the solar design services in the US, DIN Engineering services is operating since last 15 years. We have the experience of working with some of the leading solar players in the business. DIN focus on partnering with solar installers, EPCs, OEMs, and contractors in the US to bring in efficiencies for Solar Designs and Engineering Drawings. Our mature processes, robust infrastructure, and more than 450 skilled designers help us to provide best solar design services at an affordable rate. Watch the video below to catch a short glimpse on our solar design services. The Residential solar sector including solar design services is set to get a boost, post announcement of compulsory solar installations on all new homes in California. The U.S residential solar sector was witnessing a slow growth in the last few years but the decision on solar installation in all new homes will give a much-needed boost to the entire solar sector. According to an analysis from GTM Research, the new standards are expected to increase solar sales by 14% over 4 years. California Energy Commission (CEC) has said that in 2020 nearly 75,000 new homes are expected to be built statewide. This will directly account for 23 percent of new installations. Solar Installers will be looking to grab this opportunity. But there is not much clarity over economics and financial viability of the entire project. Installers are expected to bid via house developers. Although this will eliminate customer-acquisition costs, but one can expect huge competition over pricing which may cut down on margins. Installers will be looking to cut down costs at various other stages like design services. Residential Solar Design Services companies have to provide the best cost for a short turnaround time without comprising on quality. The ideal Solar Design company in this big project need to have a set up which can accommodate huge demand and has experts who can deliver the best quality. DIN Engineering Services is a known name in US Solar Market for Solar Design Services and has worked with leading installers. We now have close to 500 Solar Designers who are experienced in residential services. Our SLA guaranteed quality ensures the clients get the accurate designs, in the minimum turnaround time. In the last one decade, engineering design services outsourcing has seen multiple phases. It witnessed a steady growth in demand leading to a steep rise. This lead to the increase in a number of players. Then design outsourcing industry as a whole draw a lot of criticism for the decline in quality. The general perception about the degradation of quality has been a major concern, and the onus lies on both outsourcing companies and clients. The rise in demand led to many freelancers entering the big market, most of which were not skilled enough to handle big and complicated projects. Clients also failed to evaluate such service providers and fell to low cost. However, the future is still bright and full potential of engineering design services is yet to be explored. The outsourcing service providers need to educate clients about their ability to handle complex projects and assure them of the processes which will lead to on-time delivery. Trained resources who understand the domain and can complete your project in a given span of time, and can accommodate increasing demand. 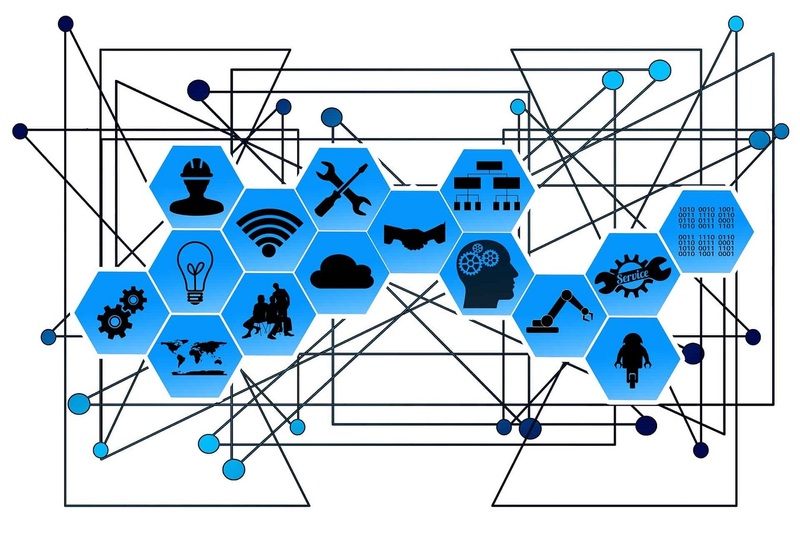 The growing network of connected devices is leading to a strong dependability of IoT on Engineering Design Services. The buzz around the Internet of things (IoT) is only getting bigger. In a nutshell, IoT defines the growing network of smart, connected products. IoT is gradually changing how things are designed, made, and used. From smart products to smart industries, everything will be governed by the phenomenon of IoT. This is going to revolutionize industries, especially engineering design industry in a big way. The engineering design services will play a pivotal role in propelling new smart products and bringing change in existing designs to accommodate IoT technologies. A well-made design help engineers to envision how products will perform. The design acts as a framework which helps to validate or find first-time insights into the functionality of the product. Based on the insights, design can be modified or further improved. Since IoT requires a lot of such products to plug in together, a validated design helps to bring product quickly into the market or make appropriate changes if required. This results in improved customer satisfaction, and additional streams of revenue for the company because of the first mover advantage. The growing demand for enriching customer experience puts a lot of emphasis on product engineering design services across the industry verticals. It’s not just about new designs. The existing products also need to be redesigned to keep up with the IoT trends and seamlessly fit in the IoT network. To ensure easy flow of data from one product to another to make a complete and comprehensive network, some products need to be re-engineered, thus a change in design. Companies can thus respond in real-time to meet changing demands and conditions. IoT is going to assist in predictive and preventive maintenance. This again gives a rise to the demand for engineering design services. For each detection of an error in the product, a new design has to be made. Combination of both IoT and engineering designs will help to increase uptime and improve customer satisfaction. As much as IoT is the need of the hour, engineering design industry’s importance will also increase. Service providers need to step up to ensure they provide quick and efficient design services. DIN Engineering Services is already working to build a platform to accommodate IoT. Our knowledge transfer programs keep the team up to date with the latest IoT trends in the industry. Moreover, our leadership group keeps participating in global summits to stay abreast of the changes. At the operation front, we are have developed mature processes which keep our quality intact while cutting down on the turnaround time. DIN held its annual company event “Disha” (forward thinking) on 18th Feb 2018. The event started with a great team bonding session, where everyone participated in fun and challenging team building games. The tired but happy team then moved onto a scrumptious lunch, which was followed by important company announcements. Anuj Gupta – CEO, talked at length about company’s new goals for the year 2018. He expressed his gratitude to all the employees for their dedication and hard work, and announced new employee centric policies which were received with a big round of applause from a strong 300+ DIN family. The event was continued with astonishing performances from the immensely talented team members of DIN. While some people entertained with their dance and singing, there were few who mesmerized the crowd through their words via poetry and comedy acts. Best acts were rewarded with the prizes. This time DIN also provided a platform to family members of the team, and two little girls stole the show with their breath-taking dance performances. Both the girls were awarded a special prize. Finally, the moment came for which everyone was eagerly waiting for – Rewards and Recognition for the people who had performed exceptionally well in the past one year. Awards like Quality Star, Customer Management, Risk Taker, Maximizer, Best Team, and Leadership awards were given for providing a remarkable contribution towards client’s goals. The most awaited and prestigious award of the evening “Employee of the Year” was given to Mr. M.S. Mehta, who had contributed a great deal to company’s growth in past one year. The company also facilitated all the employees who had spent more than 10 years with DIN. There were smiles all around listening to their nostalgic journey. In the end, everyone hit the dance floor and the event was concluded with a thank you note from the CEO. Everyone bid adieu with a feeling that only left them more motivated and positive. When you are looking for Permit-ready plan set services, it becomes vital to look for an outsourcing partner which has matured processes in place. The biggest reason companies outsource their Permit-ready plan set services is to reduce their operating costs or lack of in-house expertise. But these reasons can backlash if the outsourcing partner doesn’t have processes in place. Often companies complain that they outsourced CAD services but quality came out to be pretty low, and all the cost savings were burned in the rework. Apart from cost and quality, the company also loses a lot of time in training and giving feedback. Thus it becomes vital to look for an outsourcing partner which has matured processes in place. Here are some things you should look for while selecting PV Permitting services provider. An experienced management staff can save you ample of time. They understand fine nuances of solar designs and carry the experience of working across various jurisdictions, which ensure a seamless transition of work. It frees you from the constant monitoring, thus allowing you to devote time in more critical functions of the business. It can cost less to pay an outsourcing company than to complete a job in-house. But if iterations cost are not discussed beforehand, the project can eventually cost you a lot more. Depending upon the complexity, there can be a lot of iterations. Ensure that your partner vendor clarifies everything upfront. As discussed above, there can be a lot of iterations and they can be too many if you are working with freshers who don’t have much exposure in the solar domain. An ideal Permit-ready plan sets service provider has qualified and experienced resources. They are competent enough to handle your project efficiently and smoothly, and deliver optimal quality. When you hand over the control to another company, it’s always risky. Without saying, security and confidentiality are prerequisites which cannot be compromised. A trusted partner for your PV permitting services should have their NDAs in place and robust internal security system to safeguard your data. With outsourcing partners operating from locations in different time zones, communication always remains a challenge which can affect timely delivery. You should understand their process on how they manage the time zone difference. After years of experience and understanding client’s challenges, we have developed matured processes which are in sync with client’s expectations. Our SLA performance is calculated on quality and on-time delivery. We regularly share the Quality scorecard that included Pareto Analysis, Trendlines, Heatmaps, and Plans to ensure continuous improvement. Further, our dedicated and skilled workforce of 300+ PV Design engineers ensure that we can deliver the projects within 24 hours. To manage the time zone difference, we overlap a couple of our working hours with client’s timezone. If you have any query about our processes or how we can partner to provide best PV permitting services, please drop us an email at sales@dinllp.com. With huge demands from markets across Europe, Asia, Australia, Korea, and Egypt, there is a positive trend in the solar industry in 2018. From 2007 to 2016, the solar installations in the US saw a massive growth. It grew at almost 100 fold, from 169 megawatts of capacity to 15 gigawatts. This growth was well complemented by supporting services like Solar Design Service. However, last year U.S Solar market first time witnessed a slump in the installations. As per the Solar Energy Industries Association, the market dropped about 22 percent to 11.8GW. The year 2018 also doesn’t seem to be turning it around. Even Residential Solar is not growing at the rates as it has seen in the past. The decline is majorly due to weakness in major state markets such as California and several states in the northeast. Like any other industry that behaves after a certain maturity point, big players in the solar sector are also now focusing more on profitability than growth. The low-hanging fruits have been picked, and now installers and manufacturers are finding alternative ways. But Industry maturity alone is not the lone reason for this decline. There is a bigger threat looming over the solar sector. Tax reform, electricity regulation, and potential new duties on imported panels may go against the favorable conditions, which made the Solar sector a success in the US market. Imports were the major reason behind the exponential growth in the solar market. The high costs of the panel had already made the life difficult for the installers and now with the prospect of new duties on import, the margins are going to be too thin for companies to sustain. Where US solar market is facing all sort of challenges, European PV market is expected to see 35% year-on-year growth in 2018. According to GTM research, France, Germany, the Netherlands and Spain are set to be GW-scale markets. The same report states that Latin American solar demand could double in 2018. Brazil and Mexico are going to lead this growth with both entering the GW-scale ranking. Egypt, Korea, Australia are also not far behind in the gigawatt ranking race. All three of them are expected to touch the mark in 2018. Globally, around 606 GW of new PV capacity is forecast to be installed in next 5 years. With huge demands from Europe, Asia, Latin America and Egypt, and US Market looking for partners who can provide them affordable services to avoid passing the burden to the consumers, solar design services players need to up their game. DIN Engineering Services has already geared up for 2018 with its services like proposal drawings and solar permit package. To back our experienced and skilled workforce of more than 300 resources, we have established a robust Quality management system that provides us the flexibility to complete projects within 24 hours with high-quality deliverables. Moreover, our strategically located global delivery centers and working on best of technologies helps in optimizing solar soft costs. We are focused to bring in efficiencies in the Solar Designs and Engineering Drawings.